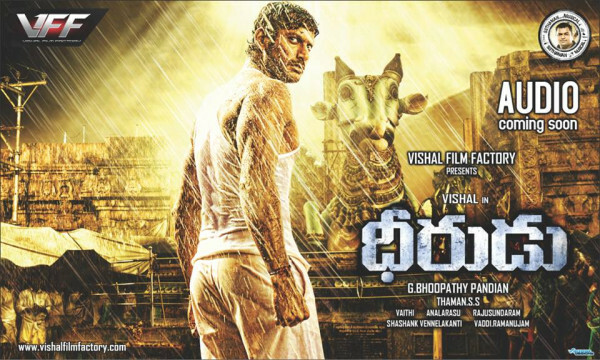 Now a days Vishal on series of flops in Telugu. He is coming with another dubbing movie Dheerudu directed by Bhoopathi Pandyan of Bhayya Fame.Action King Arjun daughter Aishwarya debuting as Hero-in. Movie is in post production works. SS Thaman composed tunes for this flick. Sony bagged Audio rights of Dheerudu. Audio releasing this June 25th at Hyderabad in a grand way. Movie scheduled for July release , probably last week of july.